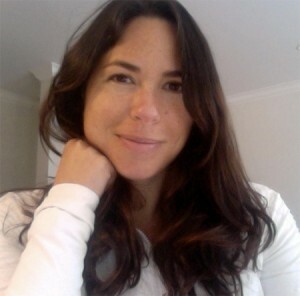 Dr. Alexandria Murallo is a licensed clinical psychologist in private practice in San Francisco. She specializes in treatments for emotion regulation disorders, including borderline personality disorder, bipolar disorder, depression, and all anxiety disorders. She has extensive training in behavioral therapies for these disorders, namely cognitive behavioral therapy, dialectical behavior therapy, acceptance and commitment therapy, interpersonal social rhythm therapy, and functional analytic therapy. She offers empirically supported treatments for individuals and couples, particularly for those struggling with managing interpersonal relationships and difficult emotions. Dr. Murallo received her Ph.D. in Clinical Psychology from Seattle Pacific University, an APA accredited program in Seattle, WA and completed an APA accredited clinical internship at Central Washington University Student Health and Counseling Center in Ellensburg, WA. Dr. Murallo completed two post-doctoral positions. She received specialized advanced training in cognitive behavioral therapy at the Center for Stress and Anxiety Managment in San Diego for anxiety and mood related disorders. At the Dialectical Behavior Therapy Center of San Diego she received intensive cutting edge training in dialectical behavioral therapy for borderline personality disorder and post traumatic stress disorder. Dr. Alexandria Murallo also received additional training in Functional Analytic Psychotherapy. FAP is an interpersonal therapy often used to enhance empirically-supported treatments for anxiety, depression, and other emotion regulation disorders. For more information about Dr. Murallo and her San Francisco Anxiety Therapy clinic click here.